Have you been looking for a conveniently located collision repair shop in the Cheektowaga, NY area? 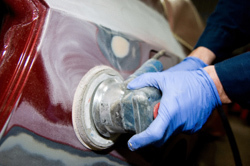 Would you like experienced auto body repair technicians to repair your vehicle? Are you looking for a highly regarded collision repair shop? Then look no further than Airport Collision. We proudly serve Cheektowaga and the surrounding WNY area. Call Airport Collision today at (716) 634-0839 for superior auto body repair! Our experienced professionals are dedicated to providing high quality results to each and every body shops customer. Our auto repair shop has over 100 years of experience. We take great pride in our work and will work hard to get your vehicle running smoothly again. Our business has been built on our quality of work and the reputation of our body shops. We are the automotive collision repair and painting shop you recommend to your friends and family. Bring your car to Airport Collision and you’ll see why we are the best of all the body shops in Buffalo, NY. We are a full service auto body collision repair shop servicing cars, trucks, and commercial vehicles – all makes and models. With extensive experience and dedication to quality auto repair, we will handle your damaged foreign or domestic vehicle with advanced skill and care. Whether your car has dings or major collision damage, we’ll repair it and get you back on the road quickly. We’ve seen it all and done it all. Rest assured your vehicle is in competent hands at Airport Collision. No other body shops in the area can match our level of expertise and experience. Airport Collision provides painting and custom painting services with expert color matching capabilities and paintless dent removal options. Paint swirls, scratches, chips, and fading are eyesores that reduce the integrity of a quality paint job. At Airport Collision, we have a dedicated team of auto body paint technicians who can restore the luster to your vehicle’s paint. Call us today at (716) 634-0839 for all your automotive painting needs. 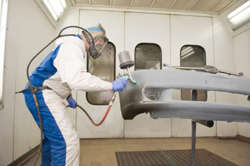 Our business comes from auto dealers, race car drivers, and specialty auto finish custom shops. If you want the absolute best auto body repair shop in Buffalo, NY, Airport Collision pays close attention to all the small details. Our experienced professionals give you great service at fair, honest pricing. Our core services include auto and truck collision repair; auto and truck painting; and auto, car, and truck maintenance. We look forward to seeing you soon at Airport Collision.